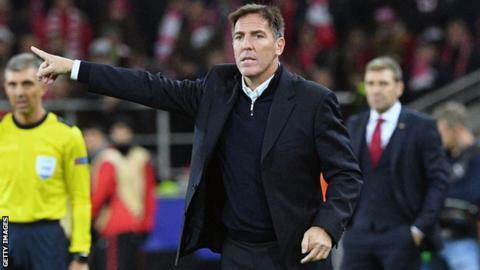 Sevilla have sacked head coach Eduardo Berizzo a week after he returned from cancer surgery. The Argentine, 48, took charge of the 0-0 draw with Levante on 15 December following a successful prostate operation in November. Sevilla, who lost 3-1 at Real Sociedad on Wednesday, have taken only one point from their past three La Liga games and are fifth in the table, 13 points behind leaders Barcelona. Berizzo joined from Celta Vigo in May. In a statement, Sevilla said the process to find a new head coach had started. Their next match is at home to rivals Real Betis on 6 January. Sevilla face Manchester United in the Champions League last 16, with the first leg in Seville on 21 February.